Virgin Media, one of the largest telecommunications companies have confirmed they have no plans to accept the Bitcoin cryptocurrency as a payment option for customers. The company has long pioneered the UK telecoms industry, providing a range of services including lightning fast fiber-optic internet, television and mobile communications. With speed being one of many touted benefits that Bitcoin offers to users, it comes as a surprise that Virgin Media has not already considered the crypto-currency. 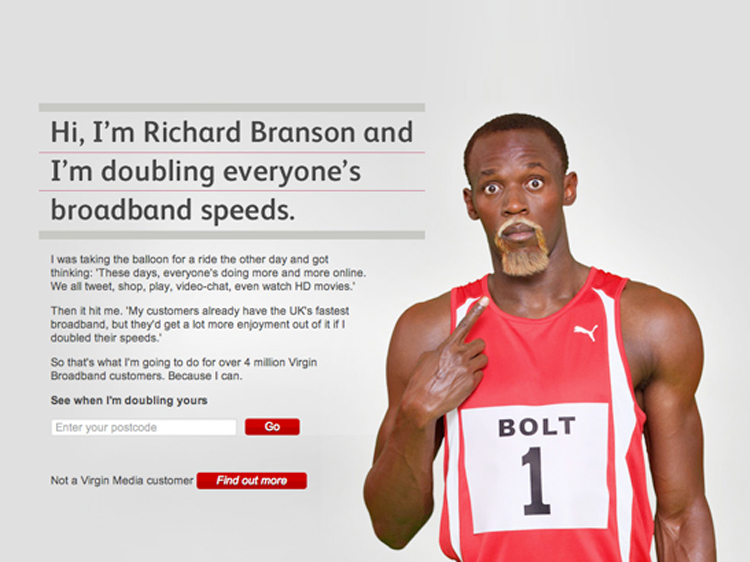 After all this coincides perfectly with Virgin Media’s current mantra and advertising campaign, where it features 100 & 200 metres world record holders Usain Bolt, suggestively promoting Virgin Media as a faster, more effective service provider, in particular emphasising the speed of their fiber-optic broadband. With Virgin also now pushing customers further into the digital void by charging a £5.00 handling fee for paper-based statements, it seems counter-intuitive to ignore the ever growing influence and benefits of Bitcoin. Bitcoin could ultimately provide a faster, simple and cheaper way for customers to pay their Virgin Media bills without the use of a 3rd party payment processor. Having said that, one company within the Virgin Group that has adopted Bitcoin is Virgin Galactic. Sir Richard Branson recently announced that customers can pay their way to space with the virtual currency. Belgium based mobile operator Mobile Vikings is one company which has publicly announced they are accepting Bitcoin payments. The company has around 160,000 subscribers in Belgium and has growing interested in other European countries, it will be interesting to see how early adopters will benefit from delving into crypto payments.